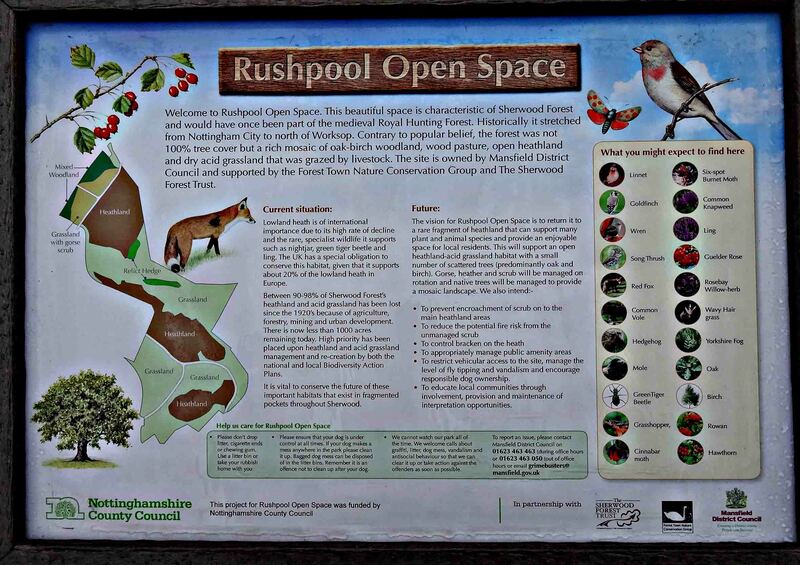 Rushpool Open Space nature reserve can be discovered in an area to the rear of the ASDA Mansfield, Old Mill Lane site. 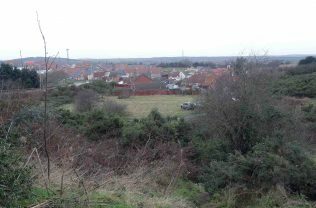 Situated among the masses of houses that have been built in this area, the open space has been retained showing what the local countryside was like before the builders moved in and changed the landscape forever. 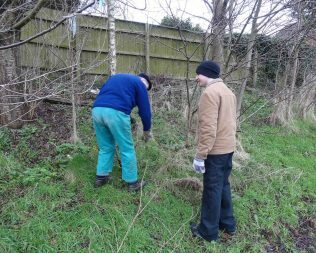 Members of Forest Town Nature Conservation Group regularly meet there to observe and record the wildlife and fauna, also to maintain the site. 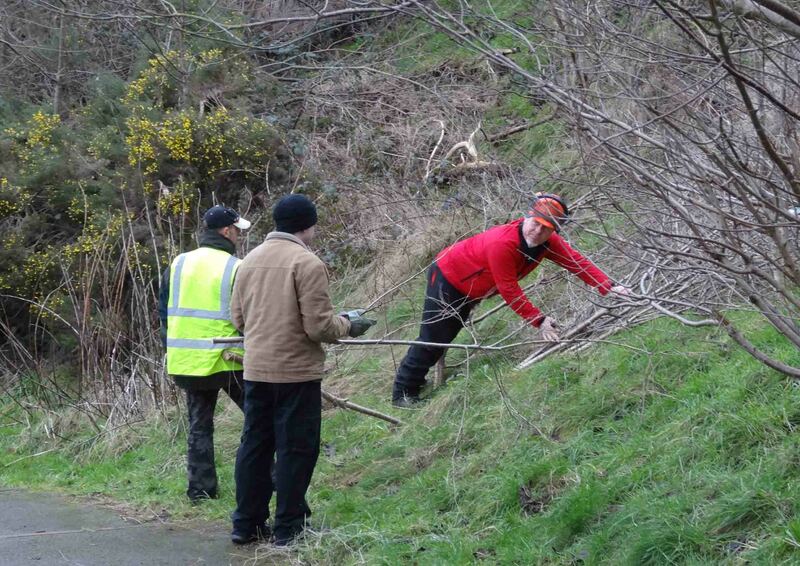 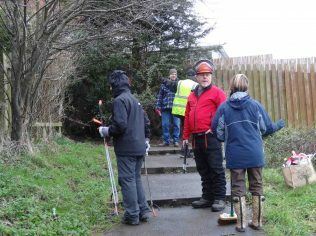 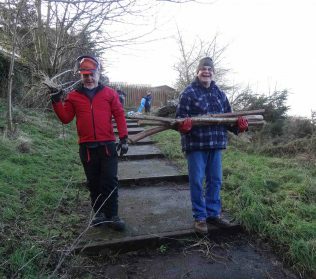 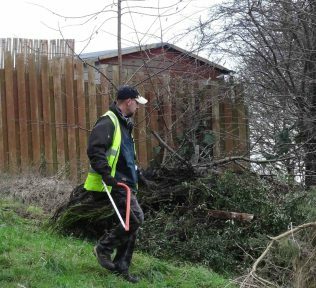 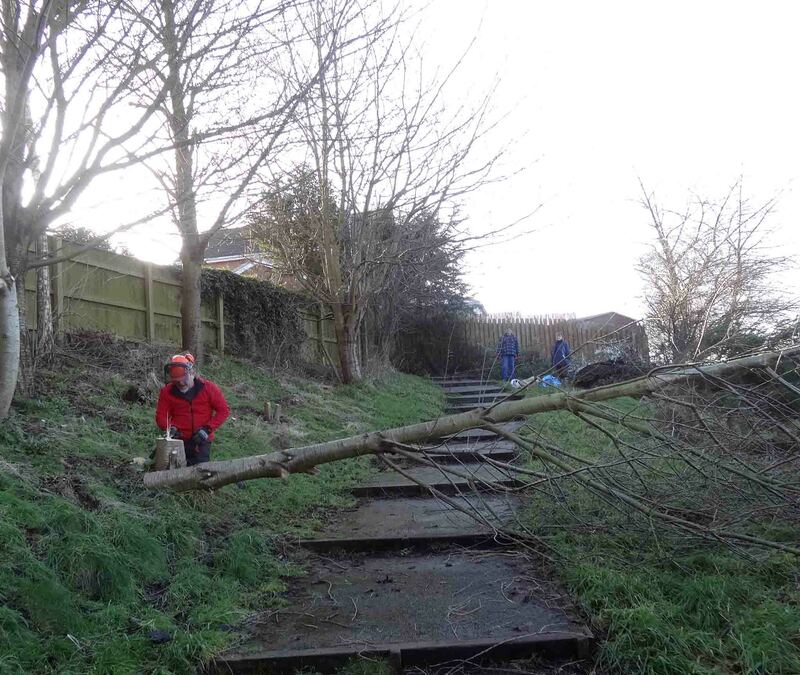 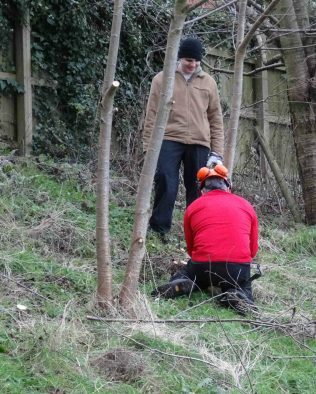 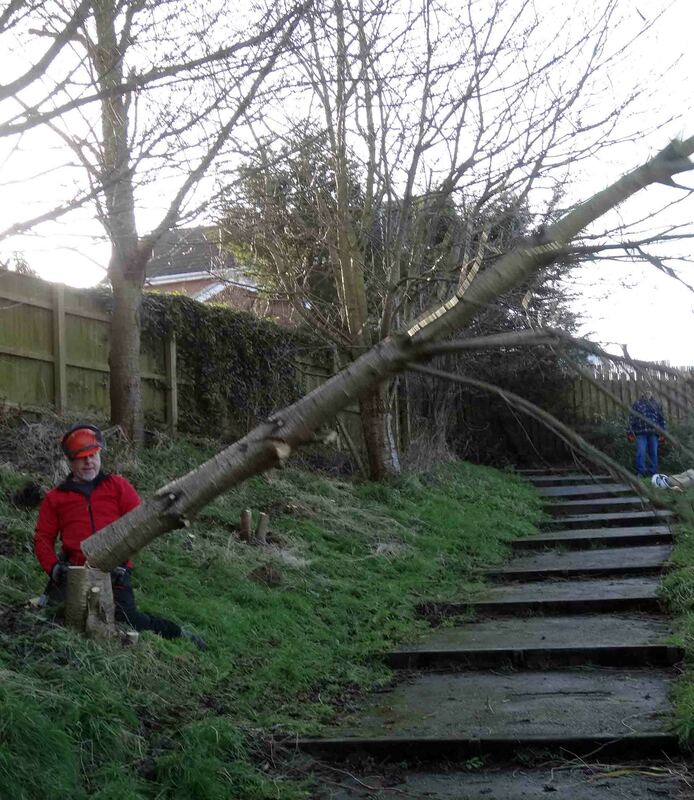 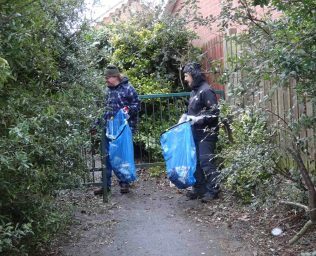 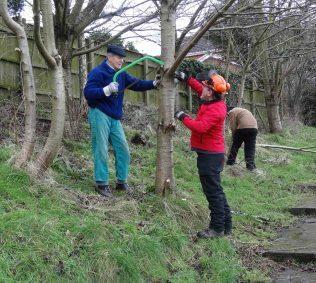 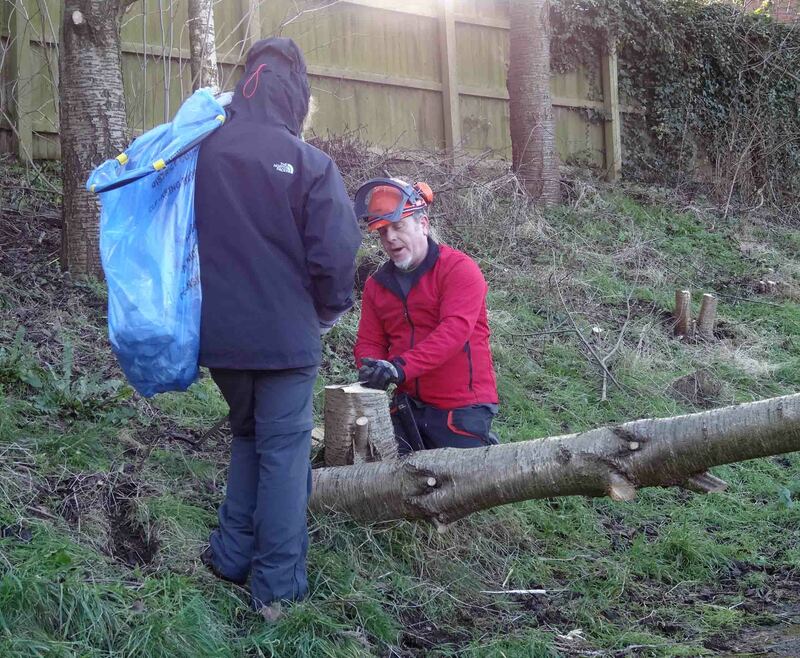 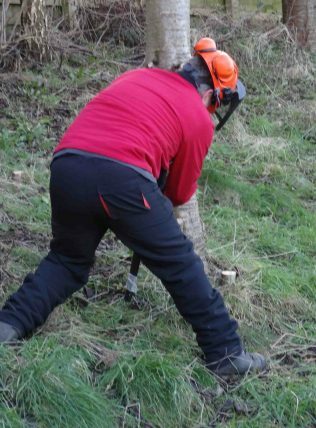 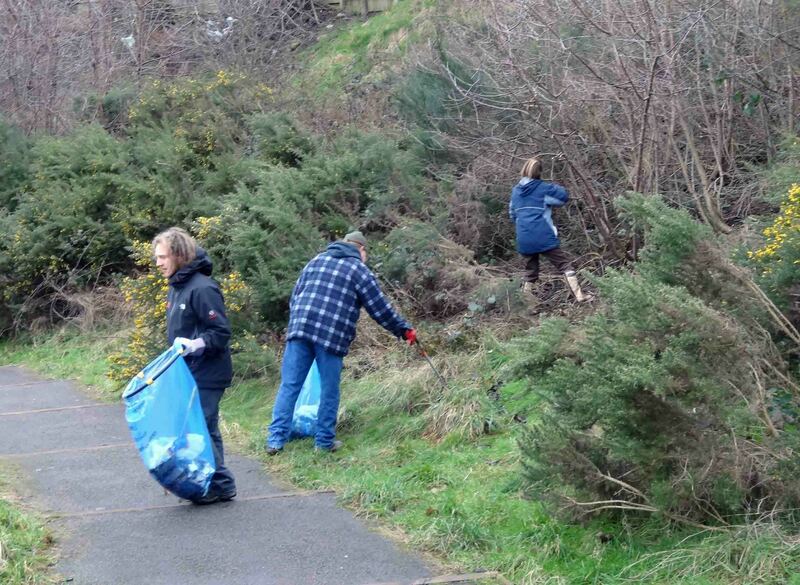 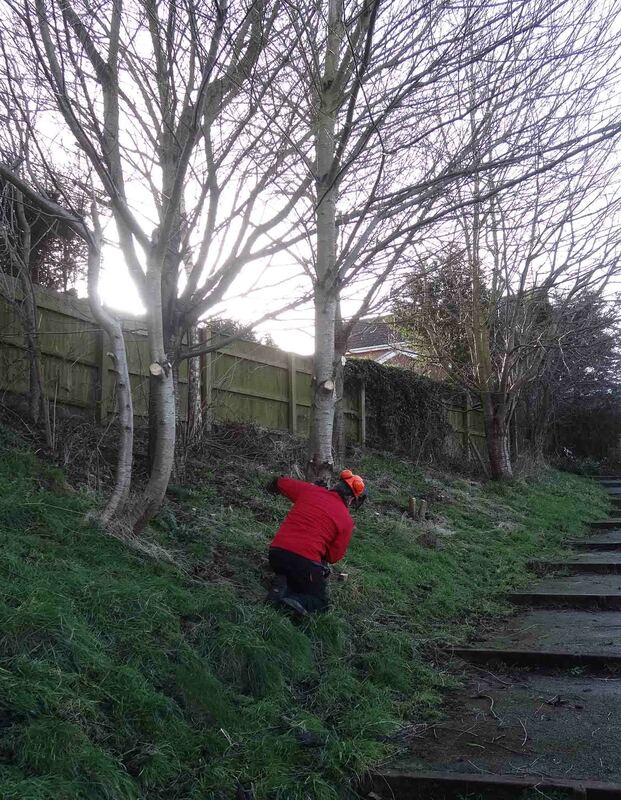 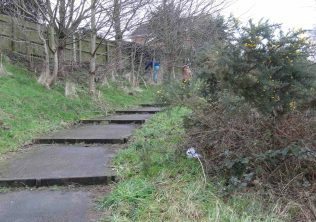 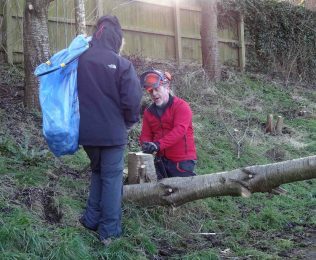 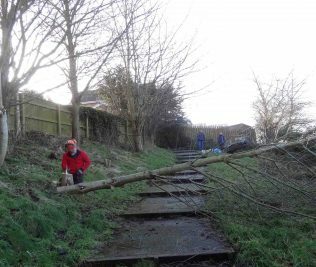 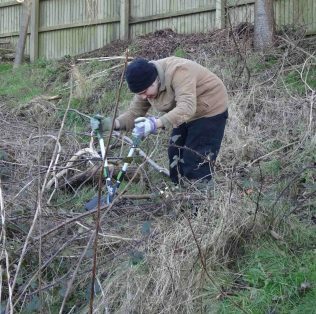 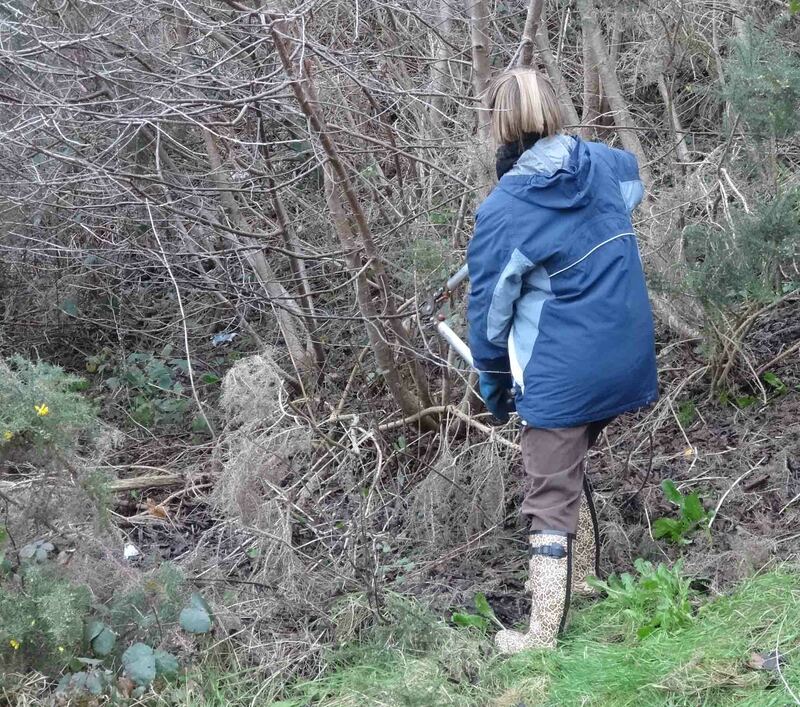 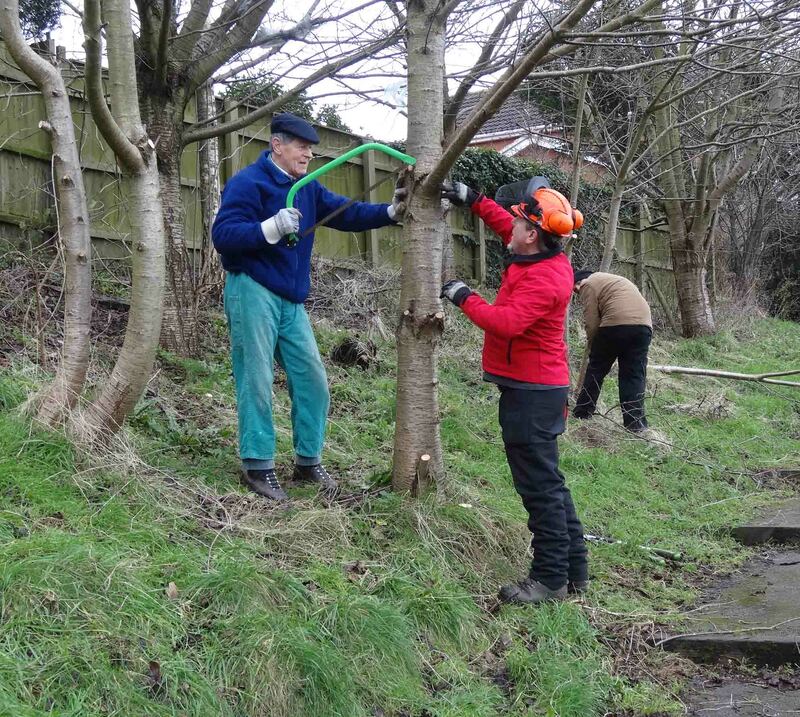 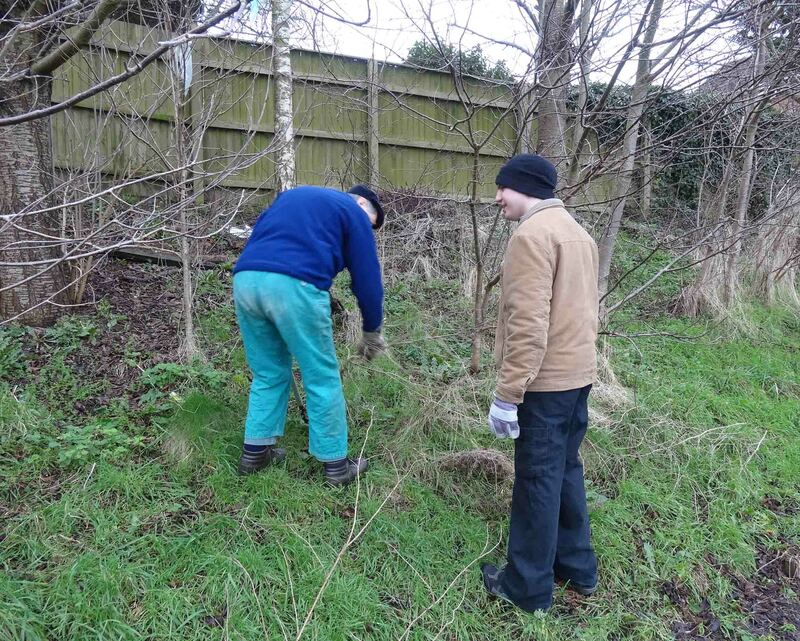 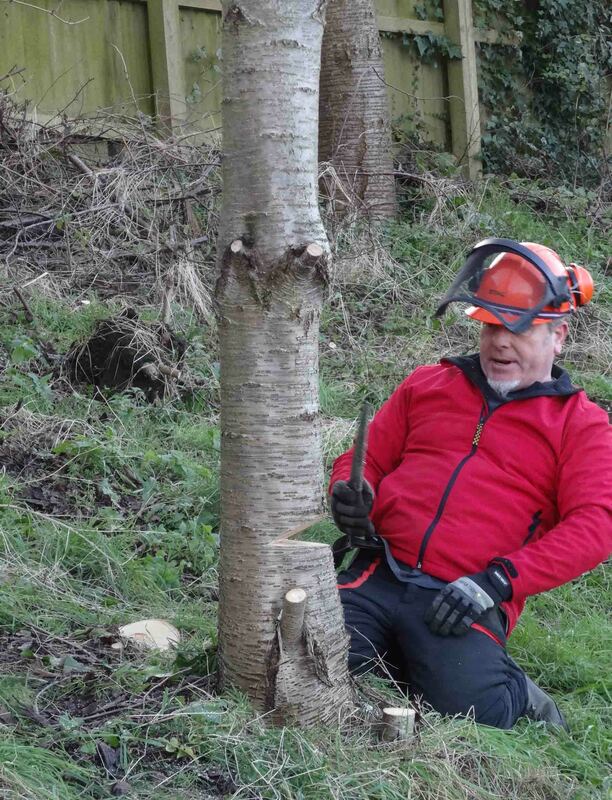 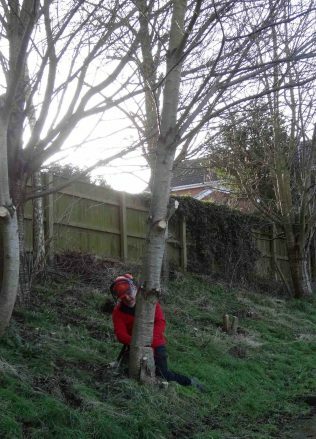 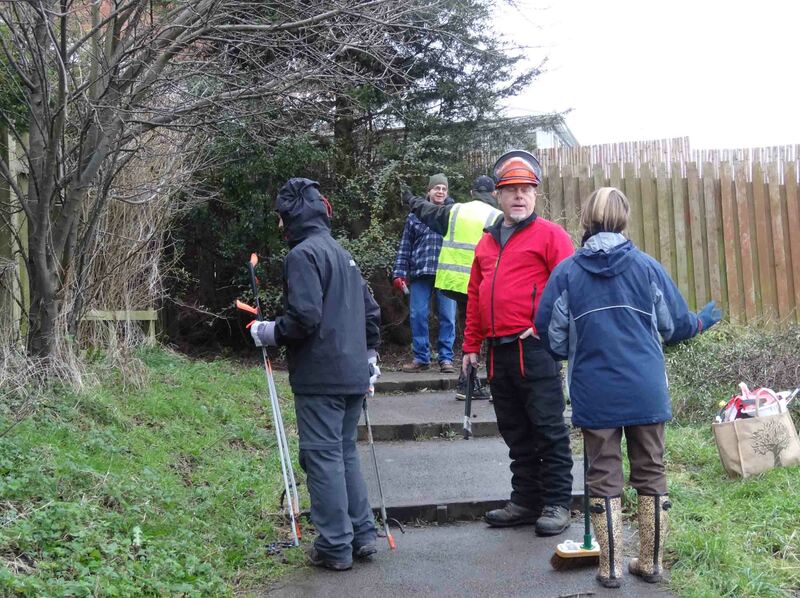 The photos show members on Thursday 8th January 2015 volunteering under the guidance of Andy Hollis of the Sherwood Forest Trust, thinning out trees and shrubs and clearing litter on the site. It was an enjoyable and rewarding day. It’s a shame that Rushpool is being used as a dumping ground for garden waste, particularly along the top edge by the fence. 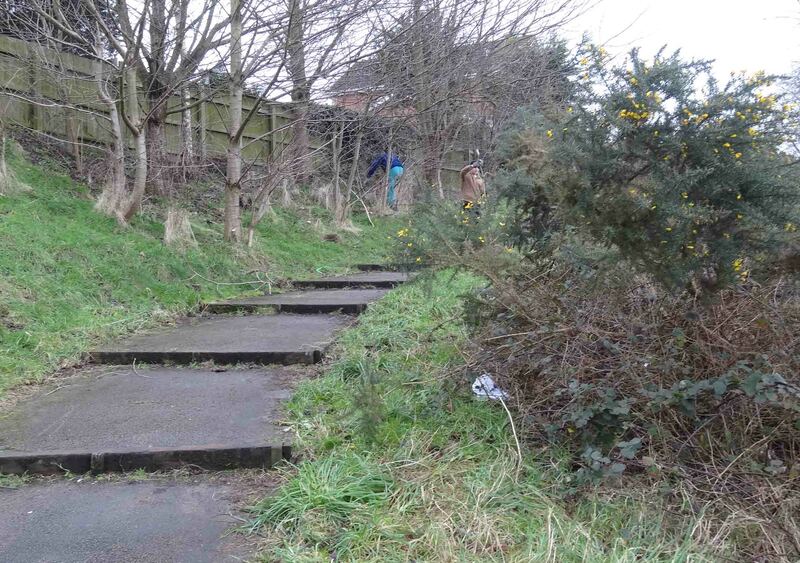 Seems that the residents think that Rushpool is waste ground and put their garden waste over their back fences. The Newt Pond in the Old Sand Quarry.